Cost efficiency coupled with the unique selling proposition (USP) of organised facilities management services by real estate developers are finding many takers. So much so, that the industry estimates the organised facilities management services market to grow beyond Rs 25,000 crore by 2020. In organised facilities management, a real estate developer outsources property maintenance, housekeeping and concierge services, among others, to a third party. By 2020, industry players and observers estimate that share of the organised facilities management will grow to 25 per cent of the total realty market. The overall market potential, including in-house as well as outsourced facilities management services, is estimated to grow to $30-32 billion or Rs 2.2 trillion roughly by 2020. Of this, the organised facilities management market is estimated to be nearly $4 billion or over Rs 26,000 crore. The unorganised market comprises blue collar personnel employed for different services under facilities management. On the other hand, the organised segment is witnessing players running a formal workforce and providing contractual services to varied clients across sectors. Players in organised facilities management range from standalone companies, spin-offs of co-working space providers, hospitality players and real estate consulting firms. They offer additional services other than consulting and market research. For instance, the Sila Group, one of the standalone facility management services providers, is already serving clients like Tata Steel, Godrej and Piramal, among others, with its revenue projected to grow to Rs 150 crore in fiscal 2018-19 and Rs 200 crore in FY20. Having grown by 80 per cent in the last three years, Sila, which is also involved in project management on the construction side in real estate, is witnessing growing demand from industrial, commercial and residential clients for facilities management. “The years 2019 and 2020 will be tough for residential and some micro markets. However, residential real estate is a big market for facilities management though it will have to correct, given the crisis in non-banking financial companies. Later, organised management services may pick up. Sila’s clientele can be split into 50 per cent for commercial, 30 per cent industrial and the remaining 20 per cent residential. We expect this mix to continue, with a stress on the industrial segment,” said founder and managing director Sahil Vora. Industry watchers believe that cost efficiency coupled with scale and complexity of projects are driving demand in real estate for organised facilities management. “There is a growing demand across sectors, including residential and office markets, for specialised facility management services. This demand is being fuelled by complexity of size of projects coupled with cost rationalisation and domain expertise. While size and complexities of residential projects are rising with amenities and infrastructure being provided, there is a need for expertise in managing these facilities. This makes it more conducive for organised players,” said Ashutosh Limaye, director & head of consulting services, ANAROCK, a real estate consulting firm. 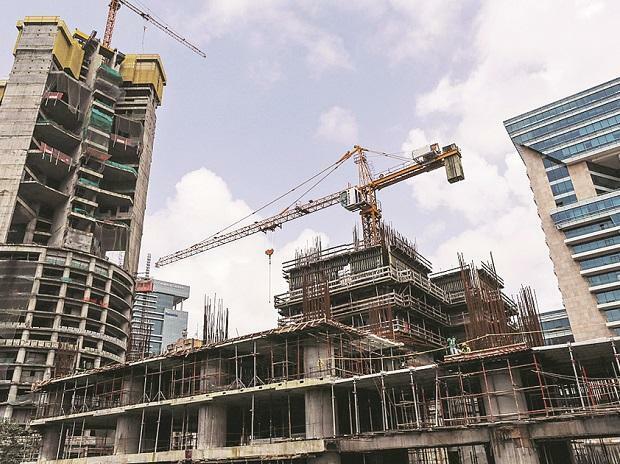 According to Limaye, real estate developers, especially in tier-2 and tier-3 cities are using organised facilities management services as USP to attract buyers. Moreover, in the commercial and industrial space, clients are increasingly finding that hiring a single organised facilities management player for a gamut of services is cost effective. They are not looking at hiring individuals providing isolated services owing to the cost factor. While in the commercial space, offices of BSFI and IT sectors are leading the demand for facilities management, in the industrial space pharma, food processing, automobile, healthcare and hospitality sectors have been demanding such services. Push for organised facility management services is also emerging from the growing co-working space, both in terms of demand and supply. While some of the established and newer co-working space providers are outsourcing facilities management to standalone firms like Sila, others like GoWork have spun-off separate wings that provide these services in-house. “We manage our facilities ourselves through another company called Nimitaya Infrastructure Pvt Ltd, which has helped us achieve better numbers since we are able to offer competitive pricing in the market. Nevertheless, we do not rule out offering these services to others in the future. Here, our clients can choose to operate under our model by taking our facility management services to their campuses,” said Sudeep Singh, chief evangelist and CEO, GoWork, one of the leading co-working space providers.